There are a number of reasons to consider hiring an architect for a building project of any kind. It is essentially one of the most reliable options for any housing or domestic project of any kind. 1. Architects will conceptualise and put your best ideas into a form that you can visualise so that you will have solid plans to present to your contractors and builders. 2. You will be able to utilise Contract Administration (CA); from that your architect will keep an eye on the construction and should be able to answer any of your questions and making sure the project is sticking to the original design intent. 3. They knowledge will cover everything from landscape design, sociology, law, and ergonomics, in addition to the expected areas of construction materials and techniques. 4. If a priority to your project is ‘green’, you will have the assurance of expert assistance for your project and making sure it is respectable to the surrounding environment, also make the design an environmentally conscious one. 5. Architects will serve as your liaison between the builders and contractors, subcontractors, interior designers, landscape designers, and government offices that are going to be visiting to ensure everything is going smoothly. 6. 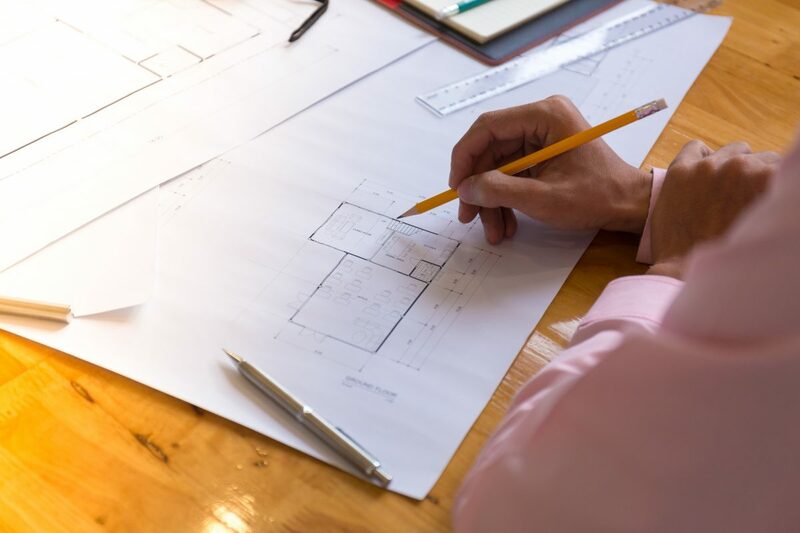 Architects will be able to anticipate any potential issues with a prospective design and prevent any mistakes that may have occurred if you opting to take on the role yourself, saving you the cost. 7. They will be able to guide you on maximising your space and budget. 8. It is possible that will suggest to you design and material options of which yourself and your builder may not have been aware of. A builder will generally follow your instructions and an architect will aid you in making the best decisions for yourself and the property. 9. Architects will most likely have connections in the industry; once they have completed their initial role, they can then help you identify the professionals to do your job. 10. They will liaise with the builders to ensure that the work is being done in accordance with the plan and the required materials are being used. 11. They will deal with the tasks of securing permits and any zoning issues. 12. The value will be added to your property if it is well designed. 13. A building that has been professionally designed will often have lower maintenance costs! The decision of hiring an architect for your building project will be vital for its progression. Please visit our website for further information about Abacus Architects Birmingham and the expertise we can provide for you. Next Next post: What is it about modern architecture?